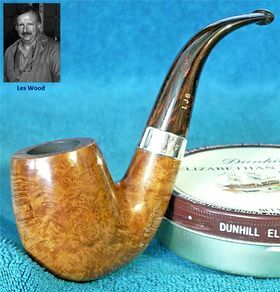 Leslie "Les" John Wood worked for Dunhill for 25 years. He last position was master silver smith. 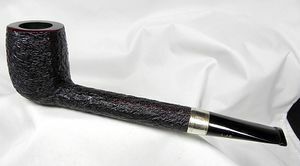 Following his tenure with Dunhill, Les formed his own brand, L. & J.S. Briars together with his wife Dolly in 1978. 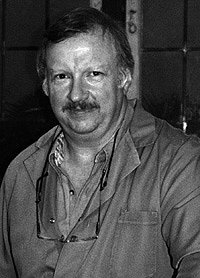 Les Wood follows Sasieni, the first ex Dunhill worker to start their own enterprise, and he was folowed by William John "Ashton"-Taylor. 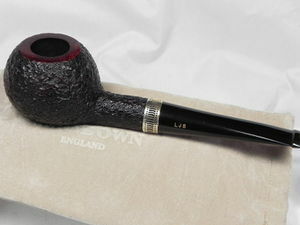 Due to diffuse world wide rights to certain names he sold his earlier pipes as " L.&J.S Briars", "Ellwood", "Les Wood" or "L. Wood". 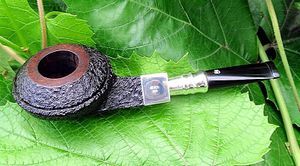 The average of presently 1500 - 2000 pipes a year are sold as "Ferndown" - named for the mansion he lives in - in the UK and US, but as "L. Wood" pipes in Germany. 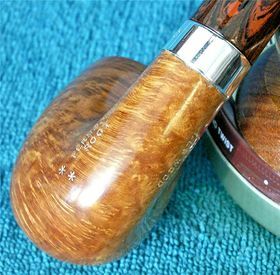 To many pipe dabsters Les Wood's pipes embody the revival of great English pipemaking iitiated by Ashton in the early 1980's. 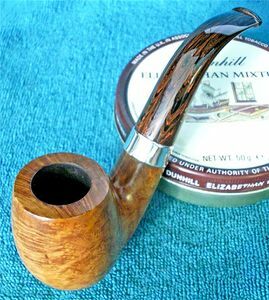 The high grade Moroccan and Greek plateau he prefers is oil-cured in the tradition of both Dunhill and Ashton. 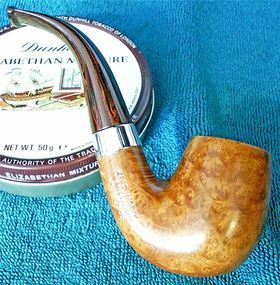 The pipes are renowned for their pleasant, slightly nutty flavor and remarkable smoking characteristics. 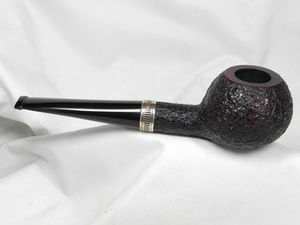 They feature impeccable craftsmanship extending to very good stem / bit work, though many pipes are often a bit heavier. But, of course, the hallmark of his work is the excellent silver work. 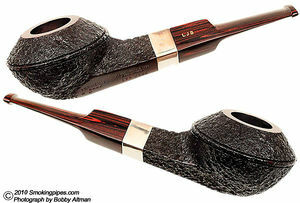 Almost all of his pipes feature rings or ferules for spigot stems. Grading is by finish: "Bark" (ca. 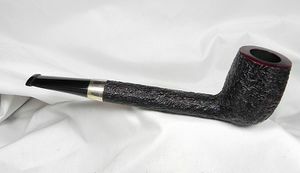 90%, sandblasted dark brown and black), "Antique Bark" (tan sandblasted), "Reo" (brown and red, smooth), "Root" (orange, smooth), and "Tudor Root" (orange and brown smooth) and by size (one to four stars). He also designates straight grains with SG. 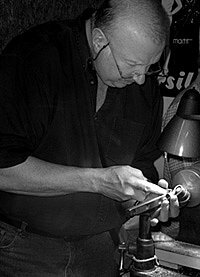 Les Wood's metal work is frequently in demand with other brands like Ashton or Comoy´s and most recently with Bentley for the John Aylesbury POY 2008. This page was last edited on 1 February 2019, at 13:15.